The inspector will pay close attention to the operation position and function of your wind screen wipers and washers. Washers will be required to work in order to pass the mot test. Even running out of water in your screen wash bottle is enough to cause an MOT failure. 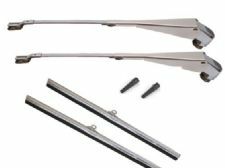 Wiper blades must be in good condition and be of the correct size for the vehicle they are fitted to. They must provide the correct range of wipe to allow the driver to have an un-obscured view of the road ahead. 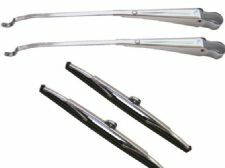 Torn wiper blades: will result in an MOT failure. This can be diagnosed by visually checking the condition of the blades. If any tears are discovered it will make sense to replace them before submitting your vehicle for it's MOT. Blocked washer jets: Are grounds for an MOT failure Common reasons for blockages are washer bottle contamination and wax blockages. In most cases the jet can be cleared using a sewing needle. Take care when doing this to avoid injury.